SchemeServe, a leading cloud based provider of insurance software for intermediaries, has been appointed an Innovation Adviser to Lloyds Lab, the new Lloyds Innovation Sandbox. Launched earlier this year, the first cohort of insurtech start-ups to the Lab were chosen in October and are currently working with their Lloyds mentors to develop their insurtech ideas. Lloyd’s Lab Innovation Advisors are subject matter experts from the industry who support the mentoring teams with their focused skills, including underwriters, actuaries, data specialists, legal, procurement, operations, software providers or finance experts. SchemeServe will be providing advice and support on digital software development, particularly relating to cloud based software and insurance Schemes business, drawing on its wealth of knowledge and lessons learned from the last 18 years. 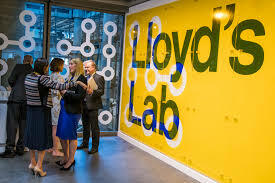 The aim of the Lloyds Lab programme is for start-ups to develop products, platforms and processes that will create true commercial value for the Lloyd’s market and help transform it into a technology-driven market. Whether by reducing costs, helping make better underwriting decisions, making operations more efficient or improving the policyholder experience, the Lab aims to engender ideas that make a real impact on market performance. John Price, COO SchemeServe, comments: “We’re honoured to be involved in the Lloyds Lab. To be selected by Lloyds as an Innovation Adviser is clear testimony of our expertise and market leading innovation in the Schemes market. We have successfully harnessed cloud based software to make sophisticated, bespoke quote and buy platforms affordable for any size of broker and produce them in double quick time. We’ve been disrupting and transforming the broker schemes market for over a decade, so we have a wealth of knowledge and expertise to share with the start-ups. SchemeServe operates more than 200 schemes and £150m of gross written premium via its cloud based platform. It works with brokers of all shapes and sizes and is the platform of choice for brokers operating delegated authority schemes because it allows them to get schemes up and running in a matter of days and make any updates or introduce new products quickly and securely. This entry was posted in Insurance Client News, News and tagged insurance news, insurance PR, InsurTech, SchemeServe, Spotlight Consulting by Spotlight. Bookmark the permalink.